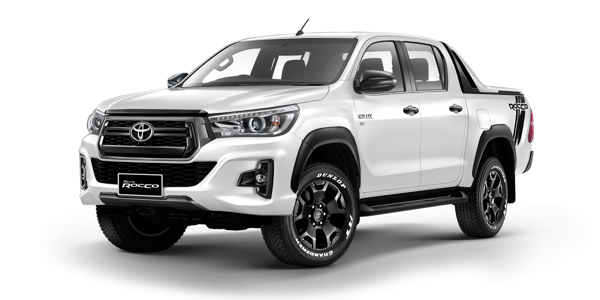 NEW TOYOTA HILUX REVO DOUBLE CAB Available in Nebura blue, Silver metallic, Dark Gray, White Pearl Crystal , Super white , Crimson Spark Red & Atitude black mica. Toyota officially launched Thailand made NEW HILUX REVO 2018/19 New Shape. Vehicles are available now. 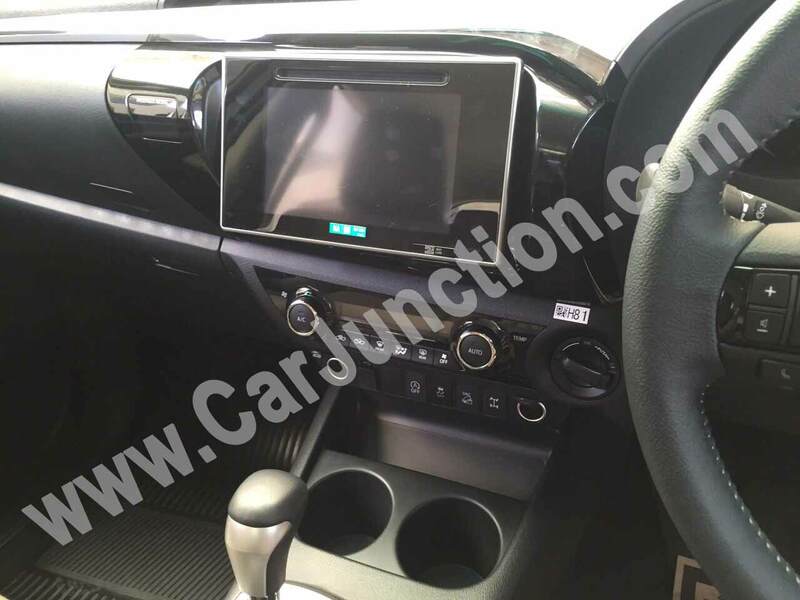 Brand new 2018/19 Toyota Hilux Revo !!! What’s New?? 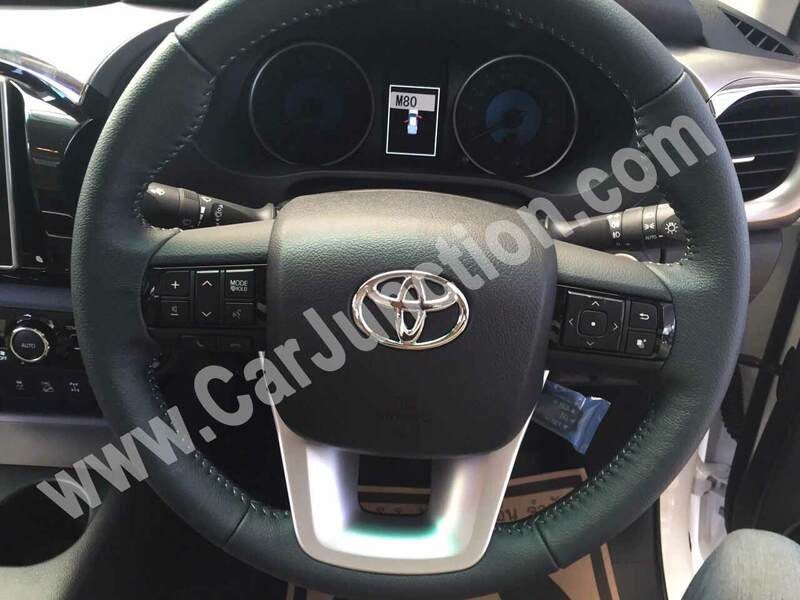 New Hilux Revo 2018/19 model has many exterior changes which include a new hexagonal glossy shining black and chromium front grille, well shaped front side bumper with small fog lamps and a C-shape chrome decoration. 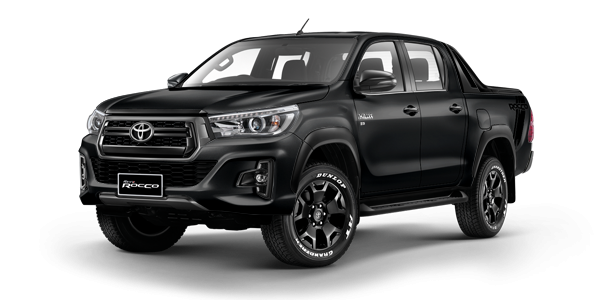 Aside from the standard Hilux Revo design, Toyota has also surprisingly introduced new sub-model called Toyota Hilux Revo Rocco having gray and glossy black grille, gray metallic rear bumper, all-terrain 18-inch alloys wheels, black interior design with a white Optitron meter, as well as special accessory package includes black sport bar, bedliner, rear bumper, and LED illuminated fog lights. 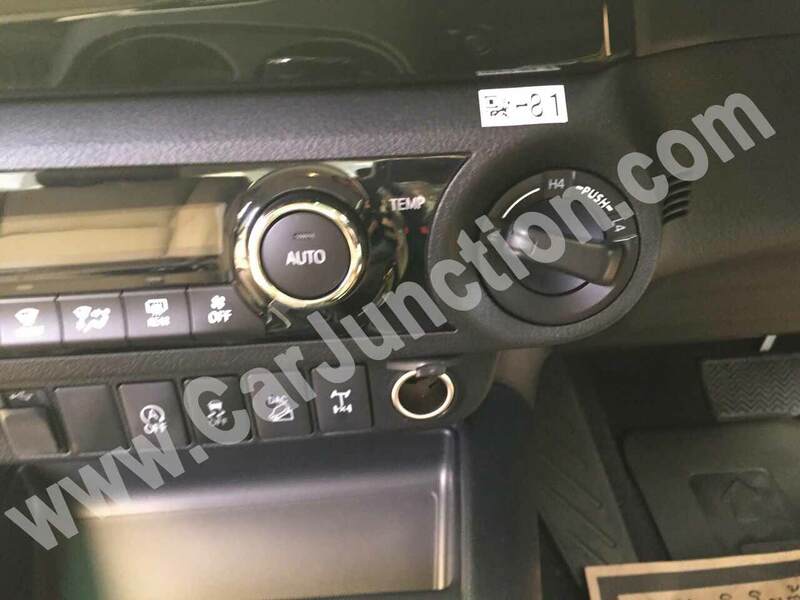 How to get your New Hilux Revo? 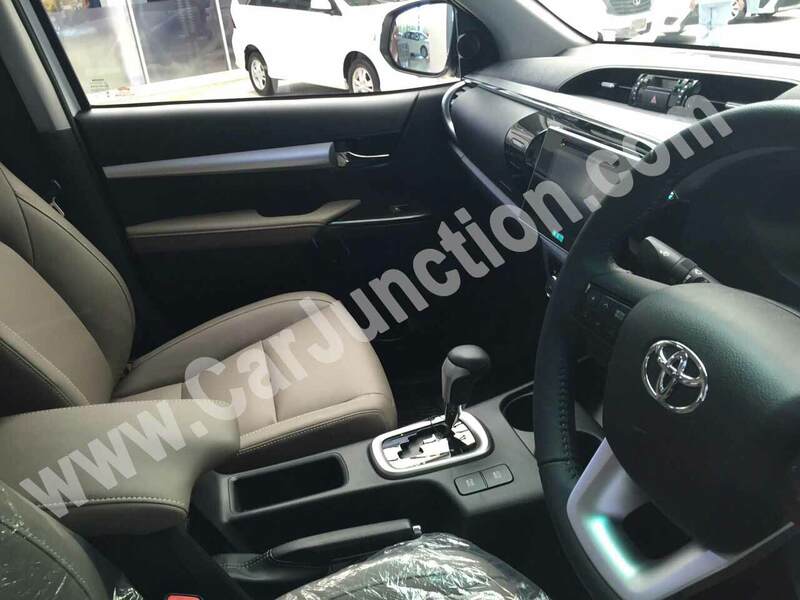 Official Pictures for New Shape Hilux Revo Double Cab. Rocco Package is the main highlight of this launch. We are taking orders for Rocco package on Booking. 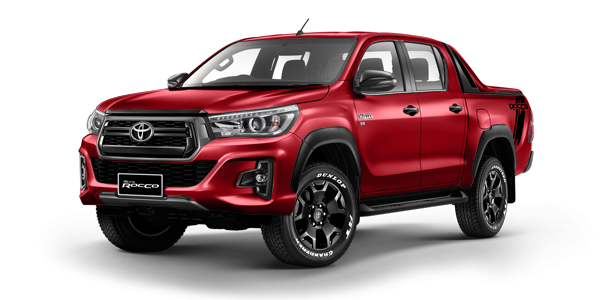 Rocco package has been launched in four colors Atitude Black Mica, Crimson Spark Red Metallic, Silver Metallic, White Pearl Crystal.